The fishing knot gives a powerful braid to fluorocarbon or mono leader connection. 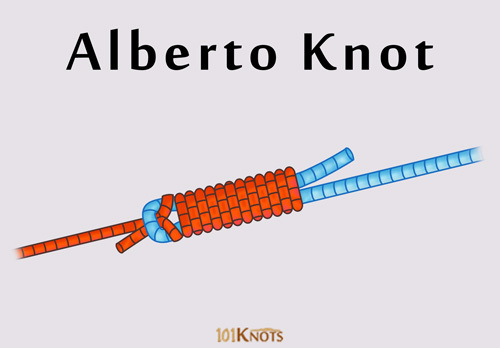 It is a slightly modified, stronger version of the Albright or Albright special knot and can be used as a replacement for the latter. It is an excellent knot for joining 2 lines of different diameters and composition due to which it has won rave reviews among anglers. It was invented by Alberto Knie nicknamed Crazy Alberto. The double line shown in the below diagram is the fluoro leader. It can be tied really fast after practicing a few times. Cinching it properly prevents failure. 7 is the minimum number of wraps as indicated above. You can go up to 10 if you wish. 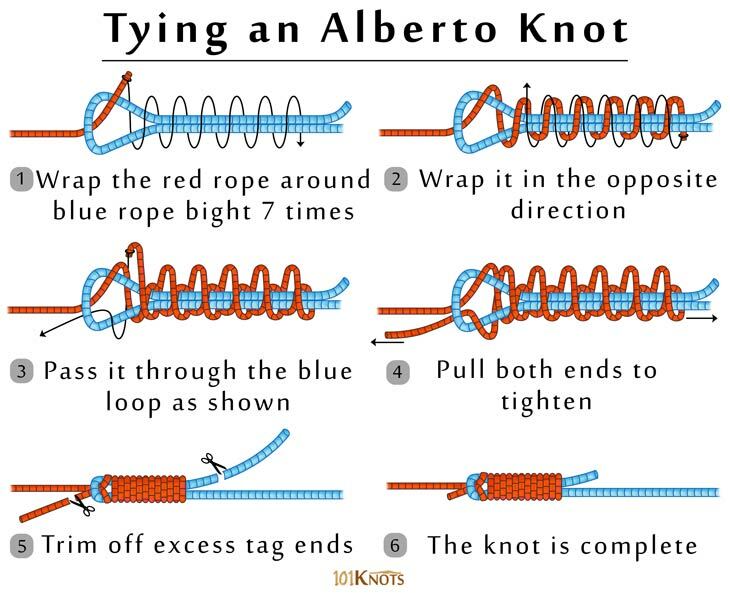 Improved Alberto Knot – Step 3 is repeated twice before proceeding with the remaining steps. It enhances the performance and allows the tag end to be cut very close to the knot. Uni to uni (double uni) knot – Weaker. FG knot – Stronger as proved in strength tests. However, takes longer to tie. Blood knot – Does not work well with lines of different diameters. Yucatan knot – More complex.